Convicted of forgery, American attorney Amos Eaton spent five years in prison. Released at age 40, his law career ruined, and still protesting his innocence, he moved on. That was in 1815. Geology became his greatest interest and teaching was his passion. His finest accomplishment was the introduction of a new style of science education – based on learning by doing. This fit well with the new country’s ‘can-do’ philosophy and utilitarian approach to everything. Eaton’s method of hands-on teaching had a huge impact on the level of science education in the United States for the next two centuries. He sometimes embarked students on barges and floated them along the Erie Canal where they sketched rock outcrops as they drifted along. In 1824, Eaton co-founded the Rensselaer School, dedicated to the “application of science to the common purposes of life.” Today the school is known as Rensselaer Polytechnic Institute and it is America’s oldest technology university. We are remembering Amos Eaton on his birthday today (born in 1776) because of something he wrote in one of his books. It hits the heart of why geology (and especially geophysics) are such unique sciences. I would like to carry Eaton’s idea a bit further. The obvious problem with understanding the Earth’s inner secrets is our lack of access. Most scientists – especially geologists – are hands-on folks. But we will never touch the Earth’s core. We won’t even get close. No one will ever explore the deep depths in a mantle-proof submarine. Much of our concept of inner-earth construction is inferred from remote measurements. Second-hand measurement can only allow inferences of what we might find, if we could actually experience the inner Earth. Biology, physics, and chemistry are different. Those sciences permit experimentation – one can tinker with a formula, add more friction, burn chemicals at a higher temperature, feed a plant more nitrogen, then observe experimental results. But there is nothing an Earth scientist can do to affect the way the planet works and compare results with a control planet. We can not change the global magnetic field, briefly stop a spreading seafloor, or speed up the planet’s rotation. Experiments are impossible. Worse, we can not even isolate an interesting observation and separate it from all the variables that might have caused it. Earth science is a mind game, a puzzle solved through inferences. Models are constructed from observations and are true only until contradictory observations are made. 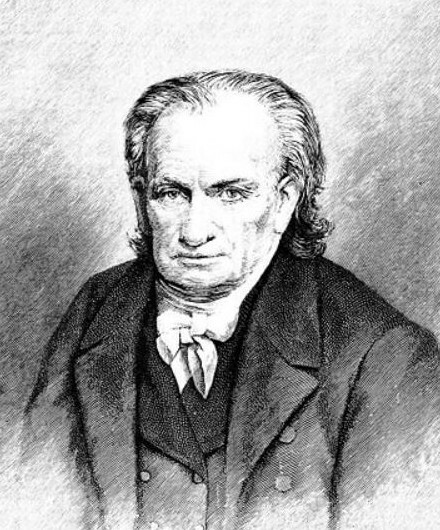 Image | This entry was posted in Biography, How Geophysics Works, Philosophy, Science Education and tagged geophysics. Bookmark the permalink.